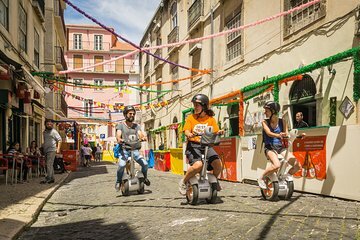 Explore Lisbon’s Old Town in a unique way on this 90-minute Sitgo tour. Cruise through the historic districts of Alfama and see key landmarks like Praca do Comercio, St. George’s Castle, the Lisbon Cathedral, and the Santa Luzia viewpoint. Follow your guide and listen to informative commentary about the history of one of Europe’s oldest capitals in a fun and unique way.